The following companies have made donations to our Canine Care Kits. We grateful for the items received and would like to acknowledge their support of our cause! Musher’s Secret donated 2 - 1 lb tubs and brochures for us to distribute in our Canine Care Kits. We have repackaged them into smaller containers that will be distributed into over 100 Care Kits. Donated items are not available for re-sale please see Musher’s Secret site listed below to purchase item. Jones Heart Breakers can make any canine’s heart race with just one bite of this tasty treat. This “hearty” treat is great for all size dogs. Heart Breakers are USA natural pork heart slices, oven baked with no artificial ingredients. All Jones’ products are 100% grown and made in the USA. 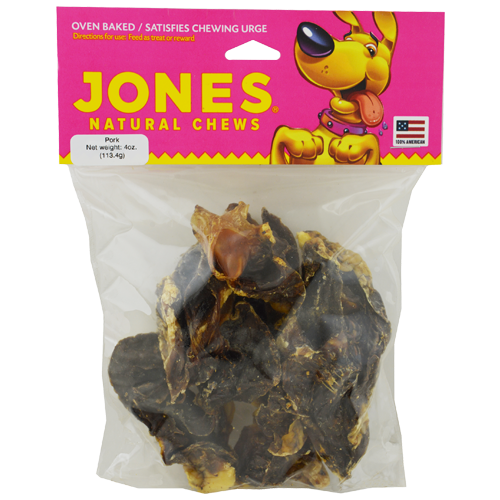 Jones Natural Chews donated 300 - 4 oz packs of their Heart Breaker chew packs. These chews come in their own packs allowing us to distribute them to 300 care kits. Donated items are not available for re-sale please see Jones Natural Chews site listed below to purchase items. Kurgo donated 10 pet first aid kits to be distributed into our Canine Care Packs. They also gave us an extra 100 Pet First Aid Guides to be distributed with our self built first aid kits. Donated items are not available for re-sale please see Kurgo Pet Products site listed below to purchase items. Get a free copy of Kurgo’s Pet First Aid Guide please click on the link Below.